What I think we can all agree about on both sides of the Atlantic is that the national flag of the United Kingdom — the Union Jack — is pretty cool. 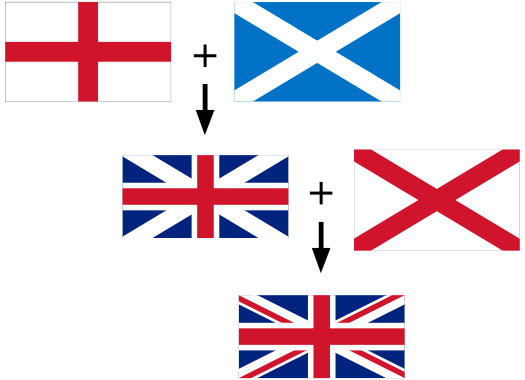 It combines symbols that represent England, Scotland, and Northern Ireland. Yes, I know, Wales also belongs to the United Kingdom but has never been represented on that flag. I have no explanation for that glaring omission. But I do feel confident explaining that, since the Scots have decided to stay in the UK, the Union Jack remains whole too. Stack the States. Texas: easy. With one star, two bars.